Emma (Emmy) Haug passed away peacefully at River Ridge retirement community in South Haven, MI on November 24, 2018. She was 88. Emmy grew up on a farm in the mountains of Switzerland near the town of Walenstadt, making the daily journey, often on skis, into town where she went to school. Emmy went on to complete her apprenticeship in tailoring and eventually married her high school sweetheart, Edward Haug on May 26,1955 in Walenstadt. Emmy and Ed emigrated to the United States and settled in Cedarburg Wisconsin for several years before relocating to Rockford, Illinois where they raised their four children and Emmy was a homemaker and seamstress. She stayed in the beautiful home she and Ed designed and built up until 2 years ago when she moved to South Haven. She deeply appreciated the friends she made at River Ridge and Hope Church who welcomed her to the community. 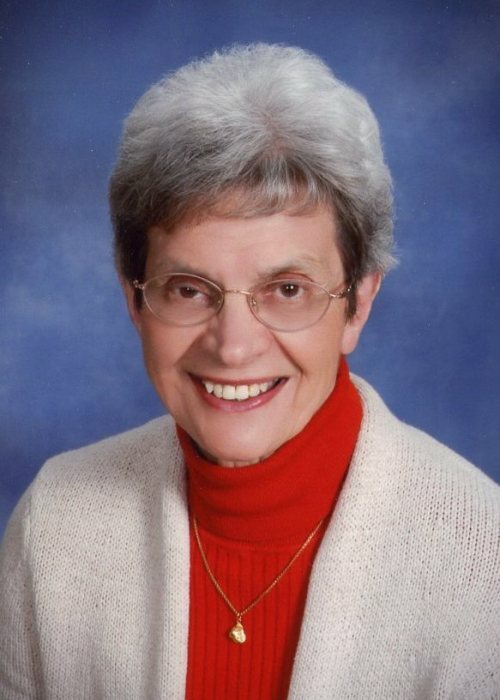 She was a founding member of and was actively involved in Hope Reformed Church in Rockford, IL. She cherished her friends and faith community, spending time in Bible study and generously volunteering her time to serve others. Outside of church she was always busy sewing and tending to her bountiful vegetable garden. For more than 25 years you could find Emmy in the front row of her exercise class at the YMCA with her “workout buddies,” as she called them. Her greatest joy was spending time with family and seeing her children grow and begin their own lives. She loved the tradition of family camping trips and gathering together with everyone over the holidays. Emmy was preceded in death by her parents, Albert and Emma (Frei) Diem, sisters Lisbeth (Jakob) Oetiker and Trudi (Beda) Linder, and her husband, Edward W. Haug. She is survived by a sister, Margrit (Werner) Kuratli of Stansstaad, Switzerland; her children, Sylvia (Chris) Verdonk of South Haven, MI, Ted Haug of Waukegan, IL, Karin Haug of Milwaukee, WI, and Jennifer (Micah) Somers of Minneapolis, MN; her grandchildren, Matthew, Emily, and Eddie Verdonk, Brad Pettijohn, Kimberly (John) Manes, Aaron and Emmett Somers; and many nieces and nephews. Emmy will be remembered by family and friends for her positive spirit, strong faith, and perseverance that was never failing even up until her last morning walk. Visitation will be held from 2:00 PM to 3:00 PM on Sunday, December 2, 2018 at the Hope Reformed Church in South Haven. Memorial services will follow visitation at 3:00 PM with Pastor Steve Smallegan officiating. Reception and fellowship will immediately follow the service. In lieu of flowers, contributions may be made in Emmy’s memory to the Hope Reformed Church, 1365 Monroe Boulevard, South Haven, Michigan 49090. A memorial service will also be held in Rockford, IL on Saturday, January 5th, 2019 at 11:00 AM and will be preceded by a visitation at 10:00 AM at Westminster Presbyterian Church, 2821 N Bell School Rd, Rockford, IL. Reception and light lunch will be serviced immediately following the service. In lieu of flowers, memorials are preferred to Westminster Presbyterian Church at the address above.